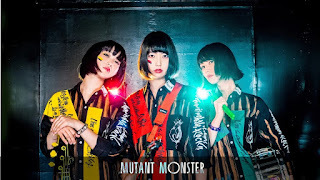 Punk trio MUTANT MONSTER will be back in London for CAMDEN ROCKS 2019. The band will be performing on Sunday 2 June, the same day as Ash, Raging Speedhorn and The Wonder Stuff. CAMDEN ROCKS is an independent urban festival showcasing 400 of the best new and established bands, across twenty legendary venues in Camden Town on 1st and 2nd June 2019. MUTANT MONSTER - 離してあげる - [Official Music Video] full ver.